If your child will be turning five in time to start kindergarten in the fall, there are lots of question that you probably have. Note: Michigan law for school start age has changed, and this might not be reflected in all of the documents available. Since the 2015-2016 year, the new permanent requirement is for kindergartners to be 5 years old by September 1st. There are some exceptions to this law, but you must register before June 1 to qualify for them. 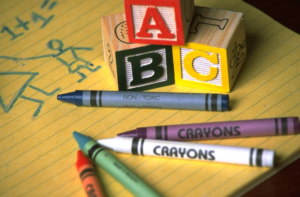 Michigan Department of Education has a set of Transition to Kindergarten Parent Guides, tip sheets (reviewed and updated in 2013) which highlight a variety of questions parents may have when their children are entering kindergarten. These 24 guides are available in English, Spanish, and Arabic. Topics include registering, kindergarten readiness, disability-specific concerns, and home-school communication.